Thanksgiving is a day filled with cooking and eating until you need to lay down. You promise to never eat again… until you realize the pounds of food that are left over. Everyone loves leftovers, but there are only so many days that you can eat turkey, stuffing and potatoes for lunch and dinner. The best solution? Give yourself a turkey break over the weekend and save the leftovers for a week’s worth of Thanksgiving-inspired lunches at work. 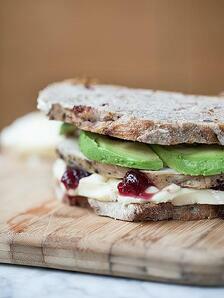 Don’t be bored by leftovers- transform them into dishes that will be the envy of the office! The easiest of leftover transformations: load up two hearty slices of bread with gravy, sliced turkey, stuffing and cranberry sauce if you’re feeling extra fancy. This simple sandwich is best when grilled in a panini press or heated up in the microwave and will keep you full until dinner! Are your taste buds tired of traditional Thanksgiving flavors? If you overestimated how much turkey your family would eat, then try these sandwiches that incorporate Thanksgiving ingredients while packing a different punch. Ok, now that you have reached your sandwich limit, it is time to bring out the creativity. Whoever implies that waffles are for sweet breakfast dishes is WRONG. 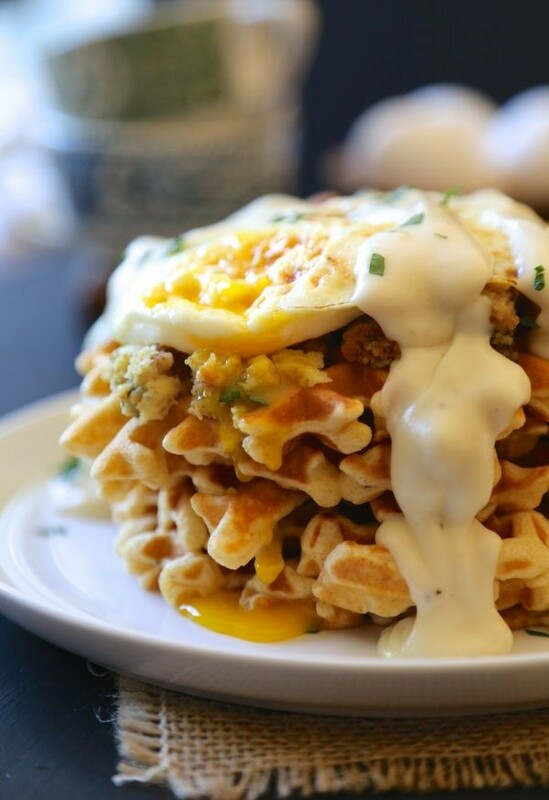 These waffles take no time to make and are an easy way to use up multiple leftovers at once! If you’re short on time, use leftover cranberry sauce to spread on top of the waffles for a portable meal. 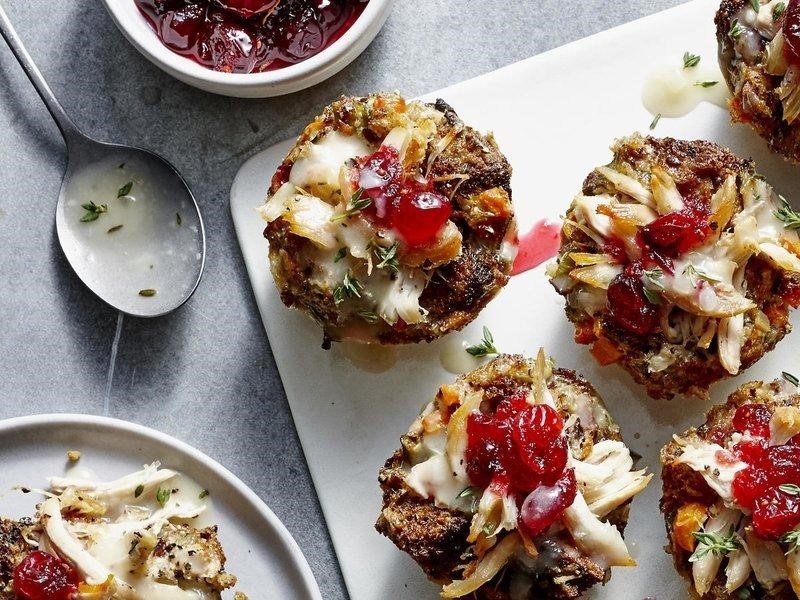 Much like its waffle counterpart, the stuffin’ muffin combines different leftovers into one compact dish. However, this dish is portable and you can eat a few muffins for lunch or they can be an addition to any other meal. This recipe from Cooking Light is low-maintenance and can be made exclusively from leftovers and common household ingredients. Are all those Tupperware containers in your fridge driving you crazy? Then making a hash is the solution! This dish can be whatever you want it to be. 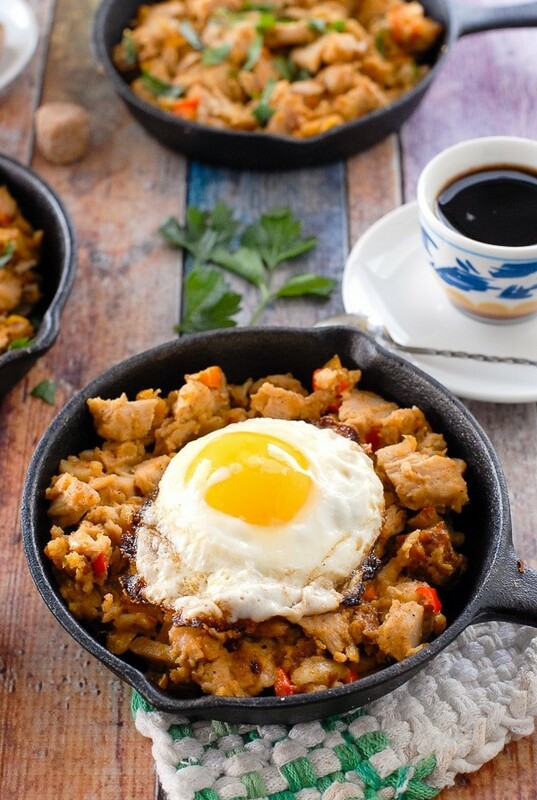 Combine potatoes, turkey pieces, stuffing and any leftover vegetables in a frying pan. Add in some eggs, and you have a quick and satisfying meal. You now have five meals for five days- and zero excuses for wasting any leftovers! Heat up any of these meals in the break room and the whole office will be jealous and applaud your creativity. At AdvantEdge Workspaces, our lounges come equipped with modern appliances and spacious seating- perfect for enjoying your leftover meals! Contact us to learn more about our workspaces and amenities.